ZSL is monitoring Thames marine mammals to better understand and conserve these top predators. The Tidal Thames is home to a number of easily recognisable and charismatic marine mammals, including harbour seals, grey seals, harbour porpoises and the occasional bottlenose dolphins. These species are important top predators in a complex estuarine environment and can be found throughout the estuary and river, including in central London. ZSL has been monitoring marine mammals in the Tidal Thames in a number of ways since the early 2000s, to better understand and conserve these species. There are two species of seal in the UK, the harbour seal and the grey seal; over the last 15 years we have seen substantial changes in their numbers. Harbour seal population growth has been punctuated by two local disease outbreaks of Phocine Distemper Virus (PDV) in 1988 and 2002. Since then, some harbour seal populations in Scotland have shown further worrying declines, the cause of which is currently unknown. Grey seal numbers, however, have rapidly increased over the last 15 years, especially on the East coast of England. It is thought that this rapid expansion is due to grey seals colonising new coastal breeding sites as they are no longer hunted by humans for their fur. When ZSL initiated annual seal population surveys in 2013, the seal colonies in the Thames were some of the least studied in the country. The surveys are completed in August using aerial, boat and land based transects. This coincides with the harbour seal moult period, when harbour seals spend a greater proportion of their time hauled out on sand banks, allowing us to estimate the population size of this species and of grey seals in the Thames. By surveying year on year, we have been able to map critical habitat for the seals and follow trends in the seal population numbers. In 2018, ZSL conducted the first harbour seal breeding survey in the Thames since the 2011 survey by the Sea Mammal Research Unit (University of St Andrews). Harbour seal breeding surveys take place in early July using the same aerial, boat and land based transects as for the population surveys. This survey will provide an estimate of the number of harbour seal pups born in 2018 and their distribution across the Thames coastline and sandbanks. 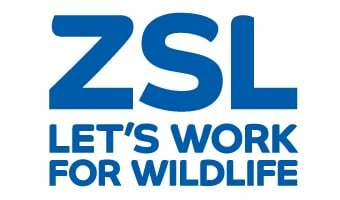 Find out more about ZSL’s survey results through our report and video. Since 2004, ZSL has encouraged members of the public to submit their sightings of marine mammals from the Thames and its tributaries in order to help us better understand their distribution. Over the last 13 years over 2,000marine mammal sightings have been reported to ZSL from the Thames. These sightings have demonstrated that seals and porpoises are regular visitors in the Thames all the way up to Teddington lock, and are present in the estuary year around. Find out more about our results here. If you are lucky enough to spot a marine mammal in the Thames – enjoy it! Please report your sighting to help us learn more about, and conserve, Thames marine mammals and remember to keep your distance, both for your safety and so as not to cause the animal any stress. For more information on how to act around marine mammals please follow our code of conduct. to If you are worried about the animal and / or want to understand what is normal and abnormal behaviour please follow our action plan. In 2012, ZSL tagged ten harbour seals in the Thames Estuary with GPS GSM tags, to gather information on harbour seal movements and map haul out sites and foraging areas in the Thames Estuary. The data has provided us with crucial information on the most important habitats for harbour seals in the region, to inform conservation and management. The habitat and foraging maps can be seen here. The Greater Thames Seal Working Group (GTSWG) was set up in 2013, to provide a platform for collaborative work on the major issues facing harbour and grey seal populations in the region. The members of the group are all stakeholders in the Thames, coming from varied backgrounds from commercial fisheries, development, government agencies and environmental charities. The group works together to create and achieve the Greater Thames Seal Action Plan (GTSAP). Find out more about the GTSWG here. Who you can report sightings to and what will happen when you report a sighting. We also provide advice on why you should keep your distance from them and list links to more detailed information. This information is summarised on a leaflet available here. You can report your sightings for collation in our marine mammal sightings map. Based on the information above, if you think the animal may be injured, ill or in distress, please phone 0208 855 0315 (24 hours). This will take you through to the Vessel Traffic Services of the Port of London Authority (PLA). They will send a nearby vessel to investigate and will coordinate an emergency response if necessary. The emergency response will be by British Divers Marine Life Rescue (BDMLR) or the RSPCA and may involve support from the Metropolitan Police marine unit, the London Fire Brigade river unit, the RNLI or the PLA. If the animal is sadly dead the Cetacean Stranding Investigation Programme will be called. Please appreciate these intriguing animals from a distance. If you get too close you may cause them distress, or to panic and bite. When hauled out onto land or a pontoon seals can feel vulnerable and be easily startled. Noise and being approached by people, boats, kayaks or dogs etc. can cause seals to panic and move back into the water – this can cause them injury and exhaustion. Please do not attempt to rescue a mammal. You may harm the animal or you may be harmed in the process. Also be aware that the Thames is a tidal river (as far as Teddington) with a tidal range of up to 7m. Waves from passing vessels can catch you unawares and the river has very strong and fast currents. If you see a marine mammal in the water, many of the same rules apply. Please do not surround the animal with large numbers of people/watercraft and never approach marine mammals head on so that the animal has room to escape. Approach the marine mammals at low speeds and remain more than 100 metres away, avoiding driving through groups, never attempt to feed them and give mothers and calves extra room. ZSL has an easy Code of Conduct to follow if you see marine mammals in the Thames. Information for responsible wildlife watching operators is available here. If you are worried about any wildlife crime, -the police have Wildlife Crime Officers that can deal with cases of crime against wildlife, including the killing, injuring and intentional or excessive disturbance to them. If you witness an incident then call the Police incident phone number (101) for advice and assistance or check out the wildlife crime website. In light of the significant amount of economic activity in the region (fishing, energy production, shipping, tourism, and recreation), but also recognising the presence of both harbour and grey seals in the Thames estuary and their conservation status, it was agreed to establish a working group comprised of stakeholder representatives from all sectors. The Greater Thames Seal Working Group (GTSWG) was set up in 2013 and aims to better understand and manage the interactions between the seal populations and human activities in the Greater Thames Estuary. Facilitate dialogue and information sharing on all matters concerning seals in the Thames, with a focus on the status of harbour and grey seal populations; interaction with industry; future plans for development; and conservation designations. Identify priorities for research and monitoring, to better understand the Thames seal populations and interactions between seals and human activities. Ensure that the seal populations are appropriately considered when drafting and implementing Government legislation. Work with DEFRA to look at reviewing current policy and legislation with regard to seals. Membership of the working group is open to all interested stakeholders with the majority agreement of the founding members. Please email marineandfreshwater@zsl.org for more information.